Come join us at our cozy wine production barn for Terhune wine, light fare, relaxing music, and friend-filled afternoons every Sunday this spring (through May) from 12:00 – 5:00 PM at Terhune Orchards Vineyard and Winery. Grab a glass of one of our award-winning wines, sit back, relax, and enjoy live music from local artists each week. Styles range from Jazz and Blues to Folk and Rock. Music from 1pm-4pm. 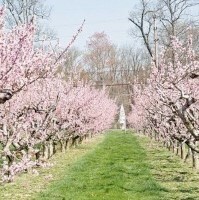 Visit Terhune Orchards for more information!